Used now for several years in the live television broadcast industry, bonding technology has become a reliable option for streaming events, when it makes sense in the right situation. 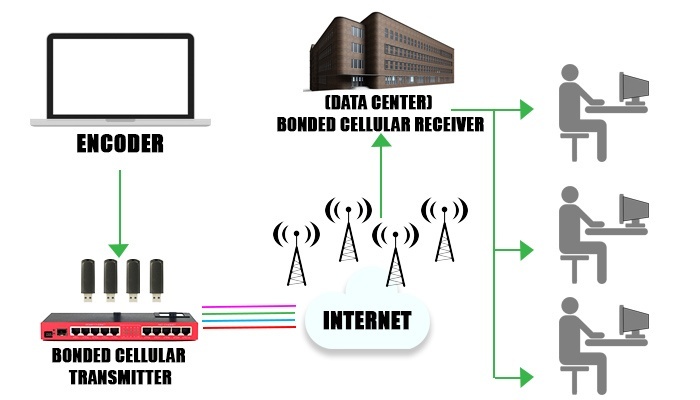 Cellular bonding breaks up a compressed video signal and transmits the packets over multiple cellular connections, with the possibility of using multiple carriers, maximizing the power of multiple network connections and minimizing the risk of relying on a single connection. 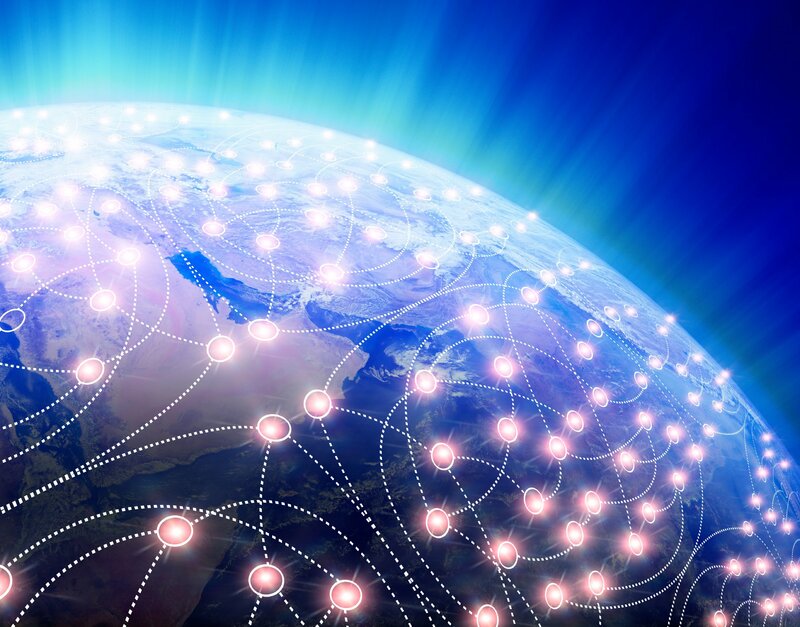 Basically, multiple connections to the internet are bonded as one. If one of the internet connections breaks or is poor, the transmission does not break or cause lost packets. In streaming video for live events, you do not want to have a lost packet in transmission. For the receiving locations, as long as you are using TCP transmission verses UDP, a packet loss is most often repaired as the player gets to ask for the lost packet again and the viewer is none the wiser. With cellular bonding, we typically get a solid 20-25 Mbps up/down keeping in mind, a LAN line can also be as one of the bonded sources. There are a few different companies that offer these types of solutions, some are tied to a particular encoder, some are not, but they are all using bonded architecture. It's also important to identify the distinction between bonded cellular and load balancing at a high level. While both are designed to spread out network load and increase reliability, they differ in that load balancing will route activity through one session on a single connection, but bonding will route activity at the packet level, distributing them to all available connections, simultaneously. In other words, load balancing spreads out data streams over different and separate connections, while bonding spreads the data across all connections increasing reliability and throughput. This cellular bonding method of providing bandwidth for streaming live events, can be considered as a sensible option in venues with bandwidth challenged environments. It is important before considering this option to test the strength of the different wireless signals in the area and the availability of bandwidth, especially in highly populated areas like city centers, and the right partner can help provide this, as well as an assessment of the venue network. If you'd like to know more about cellular bonding for streaming live corporate events, please click on the button below to contact us.